Drugs are mostly viscous and has various formulations (intravenous, intramuscular, and subcutaneous) that needs to be absorbed into digestive tract, which raise multiple drug delivery issue with traditional drug delivery system. Moreover, such issues not only raise costs but also decrease satisfaction and compliance of patients. Wearable injectors or bolus injectors are the new class for drug delivery device designed for subcutaneous delivery. It has capacity to hold the drug volume of up to 2.5 ml. Wearable injectors are easy to handle, low cost, disposable, and allow self-administration. Advancement in injector technology over traditional drug delivery system include single button to release the drug and after completion of drug in body, the needle is retracted and gets locked automatically. Thus, it’s safe and convenient disposable system benefits people who has needle phobia. Furthermore, it allows audible and visual signals, which is expected to fuel the growth of wearable injector market during forecast period. In 2015, Unilife Corporation introduced Imperium, which is an instant patch pump used for insulin. 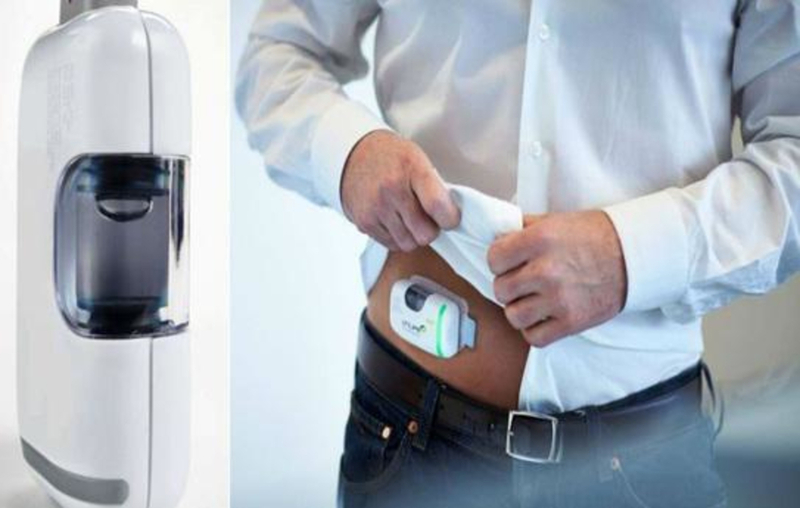 Imperium is a subcutaneous insulin infusion, disposable, prefilled, and multi-day wearable insulin pump. It has various features that include data connectivity for app to constantly remind and update wireless connectivity such as Bluetooth LE. It also provide real-time access to healthcare provider to track the insulin therapy of each patient. In 2014, Enable Injections LLC has signed an agreement with CSL Behring to develop novel drug delivery devices. Enable Injectors intent to improve comfort, convenience, and compliance administrative device for the patients with rare diseases. Enable Injection LLC and Flex entered in agreement to develop and manufacture wearable medical device in 2016. Enable and Flex aims to develop subcutaneous pain-free injection technology with features such as Bluetooth connectivity, monitoring system with smartphone app, mix automation, and passive warming system. Medtronic Plc, West Pharmaceutical Services, Inc., Enable Injections, F. Hoffmann-La Roche Ltd, scPharmaceuticals, Inc, Johnson & Johnson, Insulet Corporation, Sensile Medical Ag, Becton, and Dickinson And Company.